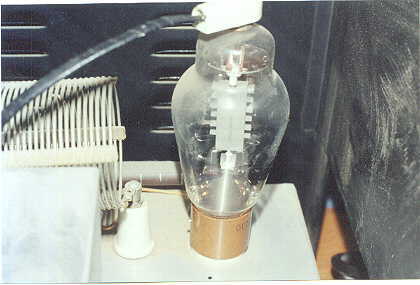 Pictures of an original 1947 Rife device! This unit was manufactured in San Diego California for a Dr. in 1947.The large phanotron tube for it was made in Los Angeles. It was in constant use until the Dr.s death a few years ago. This device is very similar to a recently discovered 1939 unit. 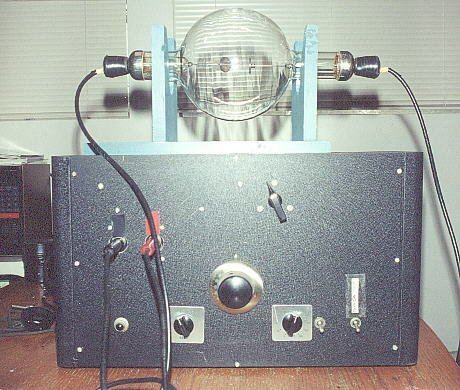 The 1939 unit has a fixed carrier frequency of about 4.6 Mhz. There are two other primary harmonics within the carrier of 2.15 and 9.09 Mhz. The carrier is Amplitude Modulated using a Hewlett-Wein Bridge Oscillator. 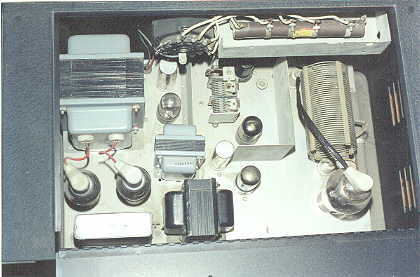 Controls for the Hewlett oscillator can be seen on the front of the device. 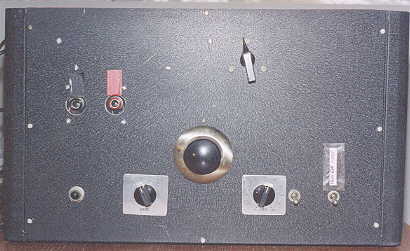 The knob on the Left changes the frequency band, while the knob in the center adjusts the audio frequency. Frequency range is from 16Hz to 200 KHz. 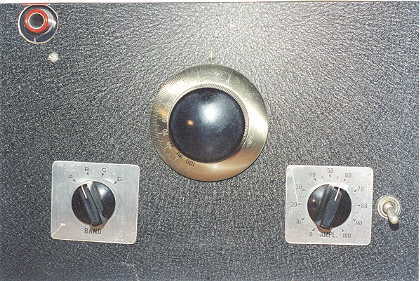 The knob on the Right changes the amplitude, or audio power level. Optimum effects are found using 100 % modulation, and not overmodulation. Sine wave modulation, and not square wave modulation is used. The output wave of the device is gated at the AC line voltage frequency. For the USA, this would be 60 Hz. Each series of pulses within the gated envelope, is composed of a damped wave train. The three harmonics of 2.15, 4.6 ,and 9.09 are all modulated. Damped wave transmitters are now outlawed by all countries via international treaties. The plasma tube behaves as an active part of the circuit, and when placed close to the patient, couples the field to the patient. A curiosity is that frequencies utilized by this device are TEN TIMES the frequency that is presently used. For example, this device uses 21275 Hz instead of 2128 Hz. Please visit this web site for a more in depth description of the device.